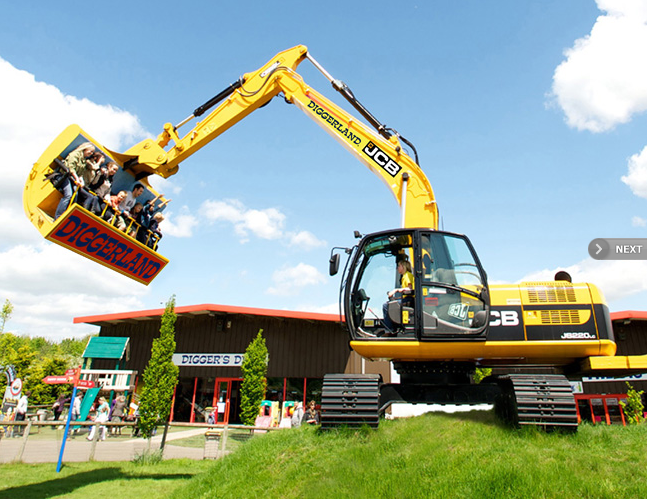 I couldn’t actually allow myself to believe that Diggerland USA was a real thing until I did more investigation and actually determined that it really is a construction equipment themed amusement park and that it will actually be opening its doors in June of this year. Diggerland USA will be the second such place in the world, the first having been built in England and while there are other places you can go and pay some money to operate an excavator, loader, or other piece of equipment, this is the first place we have ever heard about that uses the actual equipment for thrill rides and also the only place we know that is set up to allow kids to hop in machines and dig until their little hearts are content. 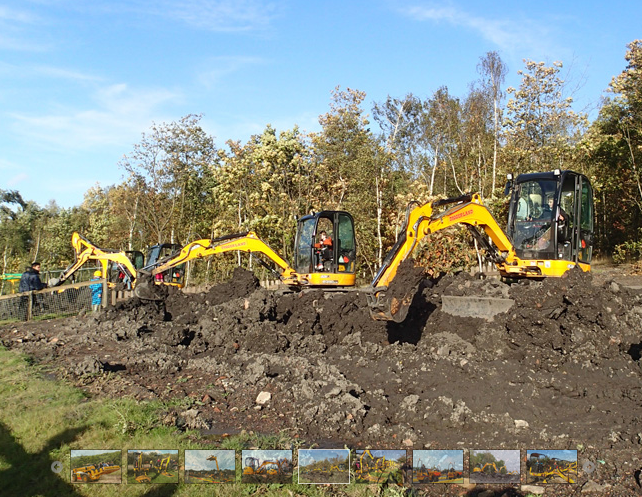 It appears that JCB will be the brand of choice for this park as it is for the park already operating in England and since JCB is an English brand that’s only natural. From driving little front dumping trucks to actually pulling the levers and controls on small excavators, to rising many stories above the ground on the end of a modified construction style forklift, this place looks like a kid’s dream come to life and an adult kid’s ultimate play land. We’ve already made plans to visit the place with our kids and no….we have not told them about it yet. Their heads may explode when we get close enough and reveal where we’re going. 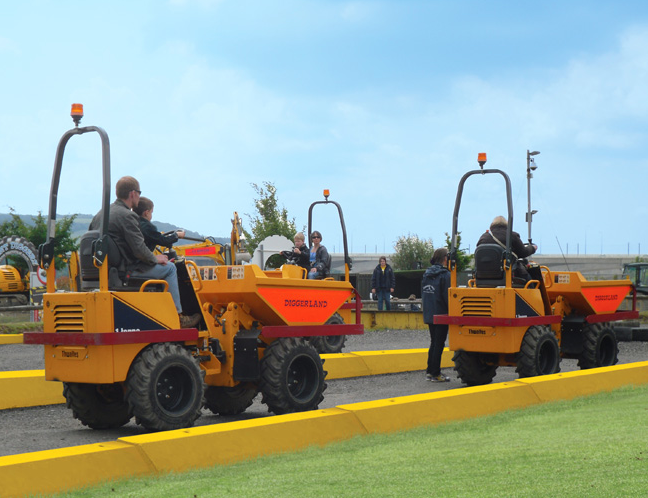 We’ll be down there later this summer as that’s when we have the time to scoot to West Berlin, New Jersey where Diggerland USA will be located. The idea seems pretty brilliant to us. Obviously the initial start up cost would be high because of all the equipment needed to get the place up and running but the reality is that these machines are designed to run for days and weeks on end doing backbreaking labor on rough constructions sites. Having kids rip some holes in the ground for a few hours a day several days a week won’t even make this stuff sweat and swinging some people around on a specially made sitting area on the end of an excavator dipper is like a walk in the park for a machine of that size and strength. We CANNOT WAIT to check this place out. The kids will love it and this adult child will be right there with them! This is very cool. Too bad my kids are too old to want to go there with me!